Singapore Drops to 28th Place in Global Retirement Index – Should You Be Worried About Your Retirement? A decade has passed since a catastrophic event happened on September 10, 2008. Global financial markets vividly remember when Lehman Brothers, one of America’s largest investment banks, filed for bankruptcy on that fateful day. What ensued was the most significant financial and economic crisis the world went through since the Great Depression. Commemorating the 10th year anniversary of the financial crisis is bittersweet. World economies were able to recover but not yet complete. The episode altered major financial trends including the global retirement landscape. Retirement security has suddenly come under threat. Will that be a cause for alarm for Singaporeans who are approaching their sunset years? Retirement security is an absolute concern in Singapore and the rest of the world. The 2008 crisis led to a changed financial sector in terms of monetary policies, and regulatory requirements. These fundamental changes spread to other areas that had long been secure. Today, protecting our retirement security is of utmost concern. 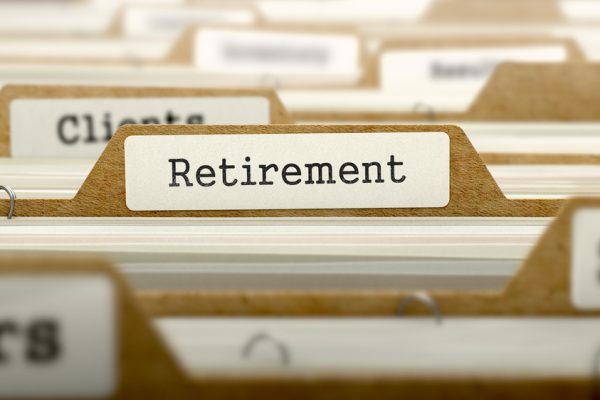 In the latest yearly edition of the Natixis Investment Managers’ Global Retirement Index for 2018, Singapore unceremoniously fell one rank lower to 28th place in a field comprised of 43 countries. Based on the data from the same retirement security index, Singapore placed third behind Asian countries Japan (ranked 22) and South Korea (ranked 24) in the global ranking. What is the retirement security index all about? The threats to retirement security are real. Ever since the 2008 financial crisis, central banks have kept interest rates at low levels as if they’re in crisis mode. Hence, people who have plans of retiring decide to work longer. Retirees are also forced to live on meagre income than originally anticipated. For individual investors, chasing the returns on retirement becomes the preoccupation. Sometimes the alternative is a high-yielding and high-risk instrument. If public spending accompanied by increasing debt across the developed world are not arrested, tough policy and funding decisions could spell doom for millions of retirees. Due to limited funds, policy makers would have to reallocate budgets for retirement benefits, education, and infrastructure. There is a danger that the budget for retirement benefits as well as social services could be sacrificed if public debt increases. Both public and private retirement systems are in peril if old age dependency keeps growing. In order for any retirement system to succeed, the number of younger individuals contributing to the system should be far greater than the actual number of receiving payments from it. The solutions to the problem are limited and daunting. Retirement age is raised or retirement benefits are reduced. Adding more people contributing to the system means inviting more immigrants into the country. One of the most overlooked factors that could impact on global retirement security is climate change. Mega storms, mega-droughts, and rising ocean temperatures among other environmental factors caused by climate change are serious problems. Even if the financial crisis is a bygone affair, economies should be able to generate more jobs. Rising unemployment could have a weighty effect on retirement security. The government can collect the tax revenues needed to fund pensions, healthcare, and social services from a strong labour sector. Considering that healthcare costs in retirement are also rising, retirees face dire consequences due to lack of savings or financial incapacity. Therefore, governments should be providing more employment opportunities for those who want to work or need to continue working. While Singapore has perennially been showing relative strength, the report highlights the areas where the country needs to focus in order to improve performance in retirement security. Singapore held the top spot in the retirement finances sub-index but was relegated to second place. New Zealand claimed the number one position. Singapore relinquished the top spot for the following reasons: lower indicator scores for government indebtedness, bank non-performing loans, old-age dependency, and governance. New Zealand also declined in some of the mentioned indicators but only to a lesser degree. The gains in the tax pressure indicator made up for the decline in the other indicators. But one thing is glaring in Singapore as compared with the other countries. A larger portion of the country’s healthcare expenditure is not covered by insurance. This is notwithstanding the fact that Singaporeans have the seventh-highest life expectancy. Switzerland stands proud as No.1 in the Top 5 countries for retirement security. Rounding up the next four distinguished rankings are Iceland, Norway, Sweden, and New Zealand. If you’re planning your retirement, these numbers may mean little to your own retirement security. Instead, here are some practical tips to ensure your retirement is on the right track, according to Sean Cheng, Portfolio Manager at Providend. “So we would need to ensure that we have plans in place to meet these expenses. To cover essential expenses, we should try to ensure that we have reliable sources of income. Examples would be CPF Life, high quality bonds, and possibly annuities. “To cover discretionary expenses, we could afford to take on more risk to get potentially better returns. An example would be a portfolio mix of equities and bonds which suits our risk profile. “To cover unforeseen expenses, we should consider getting an integrated shield plan to get better hospitalization coverage, long term care insurance such as CareShield to hedge against disability, and possibly a Critical Illness insurance plan to cover alternative treatments. “But what is needed moving forward is a collective effort, from the public and private sectors, to promote retirement planning and prioritize finances of retirees. It will make a world of difference if that can be achieved,” concludes Sean. Singapore may be far distant from Switzerland in terms of overall standing. However, being included in the Top 10 countries in finances in retirement sub-index is a mean feat in itself. The country is actually tied with New Zealand at identical 79% score.